This month marked the 23rd annual HOT ROD Power Tour, which ran from June 10th to the 16th and stretched from the Arrowhead Stadium in Kansas City, Missouri, to Kentucky’s Bowling Green Warren Country Regional Airport. The massive seven-day, seven-city journey brought together more than 6,000 vehicles and 100,000-plus spectators, in venues such as the Iowa Speedway in Newton, Iowa, the Mississippi Valley Fairgrounds in Davenport, Iowa, the University of Illinois in Champaign, Illinois, the Gateway Motorsports Park in Madison, Illinois, and the legendry Lucas Oil Raceway in Indianapolis, Indiana. The video highlights the various performance upgrades the SS has been equipped with, including a Wicker Bill spoiler, a 6.2-liter Cat-black exhaust upgrade system, a 6.2-liter cold air intake system, 6.2-liter strut tower brace, front 6-piston Brembo brake upgrade system in red, and lowering and sway bar suspension upgrade system. 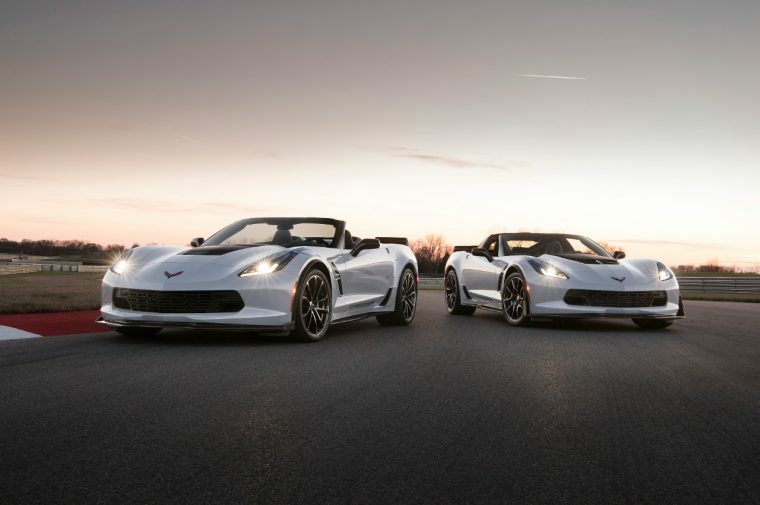 The video highlights the Corvette Z06 grille system and quarter panel vent system, as well as the Stingray T1 suspension upgrade system. Enthusiasts can learn more about these and other Chevrolet Performance parts and accessories at http://www.chevrolet.com/performance/overview.